Achille Djeagou Tchoffo is the Technical Assistant for the Open Timber Portal. As Congo Basin Technical assistant for the OTP, he conducts outreach and training on the OTP web platform, coordinates with local partners and assists in managing sub-grants, and performs quality control on information submitted to the OTP platform. 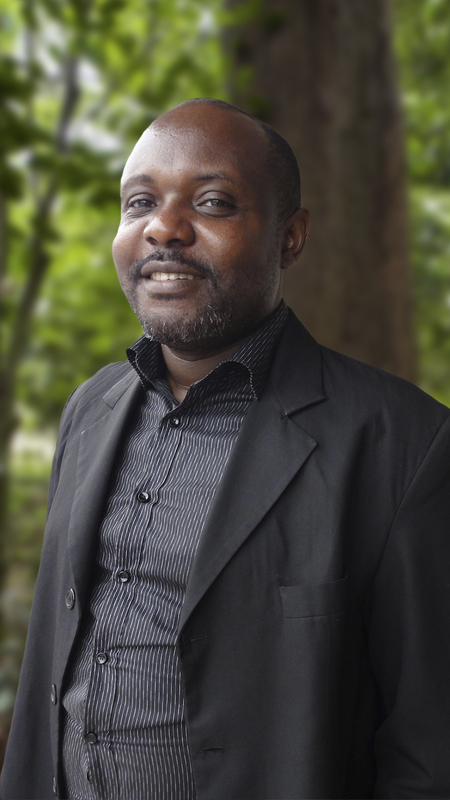 His work focuses primarily on the Democratic Republic of Congo (DRC) and the Republic of Congo (ROC) and supporting eventual expansion of OTP in the Congo Basin. Prior to joining World Resources Institute, Achille worked on sustainable forest management and certification projects in West and Central Africa for close to 15 years with international NGO and governmental agencies such as The Forest Trust, Rainforest Alliance, Central Africa Forest Commission (COMIFAC), New Partnership for Africa Development (NEPAD), NEPcon, and Gold Standard. He has been involved in the Voluntary Partnership Agreement negotiation processes in Liberia, Cameroon, Congo Brazzaville, Gabon, Democratic Republic of Congo, and CAR. He has also been a Member of the multidisciplinary team of consultants hire to design and deploy the Ghana Wood Tracking System powered with the capabilities to issue FLEGT license. As a senior lead forest auditor for NEPcon, he conducted more than a dozen supply chain risk assessment and proposed mitigation guidelines. He was involved as carbon verifiers in Agriculture – Forest and Land use including Afforestation/Reforestation projects in Democratic Republic of Congo, Cameroon and Mali. As an FSC Lead auditor Forest management & Chain of Custody course instructor, he has trained more than 50 auditors active in the Congo basin. Achille Djeagou has experience in social forest management from the Congo Basin Center of Social Excellence and also through a GEF funded project where he supported the development of tools and strategies documents to guide multi-stakeholder dialogue on benefit sharing, land tenure reforms, community participation, and gender in sustainable land management. Achille holds a degree in International Environmental Law, Policy and Natural Resource Governance and a Professional certificate in advanced studies in Carbon Forestry from Albert-Ludwigs-University Freiburg- Germany - Faculty of Environment and Natural Resources/Chair of Silviculture. He has been working on an applied research thesis with Ecole de Management de la Sorbonne, Paris School of Business and Galilee International Management Institute on sustainable trade and change management in the timber industry. Achille is a big fan of innovative technology. During his free time, he likes swimming, bicycling, watches and listening World news, National Geowild and aeronautics events.